Bridge Side is a town house built purposely for B&B. 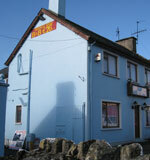 It is located in the heart of the quaint village of Sixmilebridge, Co Clare on the banks of the O'Garney River. Bridge Side is the ideal place to make as your base when you are working temporarily in or exploring the West of Ireland. Ideal for those working in Clare or Shannon areas. Also, Bridge Side is located just 4 miles from the famous Bunratty Castle & Folk Park and, not to forget, one of the oldest pubs in lreland; "Durty Nelly's". Bridge Side is also only a 10 minute drive from Shannon International Airport, 15 minutes from Limerick City and minutes from Ennis town. With the recently reopened Sixmilebridge train station, we are now even more accessible and central than ever before. For a timetable of trains to and from Sixmilebridge click here: Timetable. 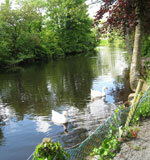 Website Designed by Western-Webs, Tuam, County Galway, Ireland Copyright 2009 Bridge Side B&B Co. Clare.